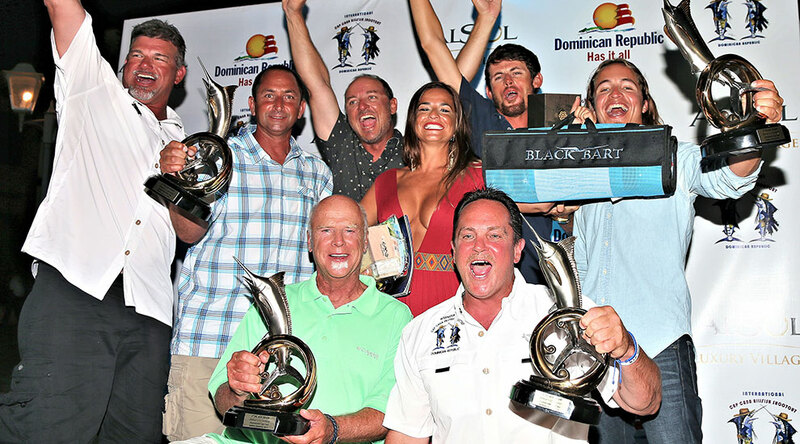 Each year the top offshore teams in the Caribbean come together to battle it out at the Cap Cana International Billfish Shootout, held at Marina Cap Cana on the eastern point of the Dominican Republic. Photo by Richard Gibson. 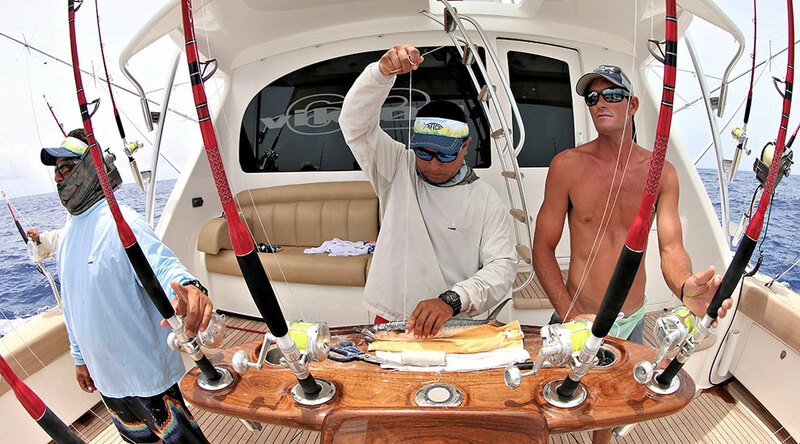 The event was held at Marina Cap Cana, which is only nine miles from the start of the billfish bite. The marina offers everything you could want from a deluxe facility and has a great reputation with visiting crews. 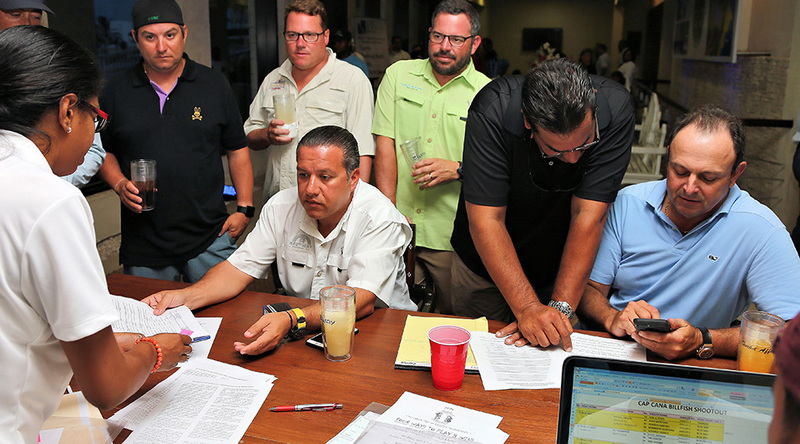 The 2015 Shootout drew 20 boats from across the Caribbean and the United States. Owners and crew got the paperwork out of the way at the Captain's Meeting and set their plans to fill the outriggers with release flags. Photo by Richard Gibson. 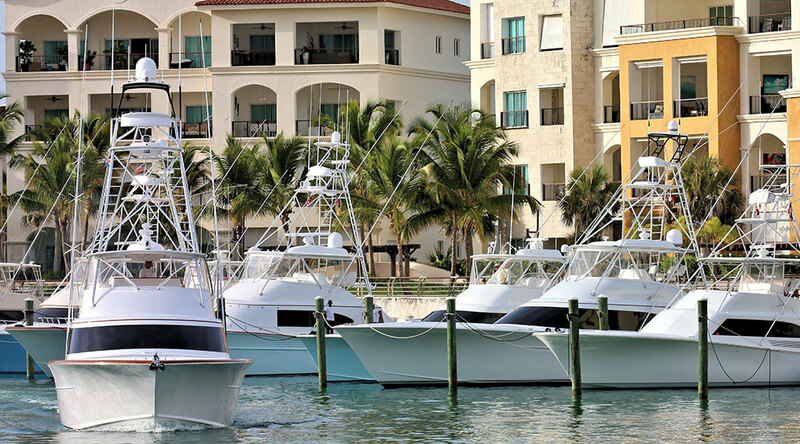 The Cap Cana Shootout is a four-angler tournament. Most crews troll natural baits and a mix of dredges and teasers. If you want to make sure you don't miss a fish, never leave that rod! Photo by Richard Gibson. A mate's work is never done... When pulling dredges, you need a big tray full of rigged baits. 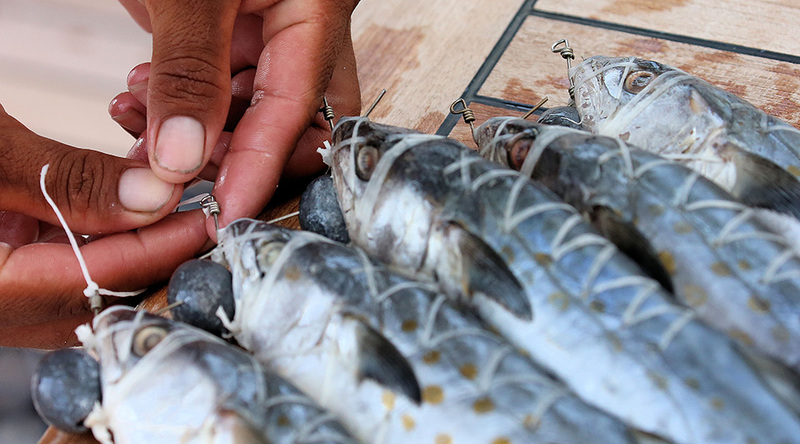 Most teams used mullet, while some opted for mackerel baits. Others, used artificial baits on the dredges or a mix of both. Keeping grass off of the dredges was the hardest part for this particular event. Photo by Richard Gibson. Just about every boat in the fleet pulled dredges. 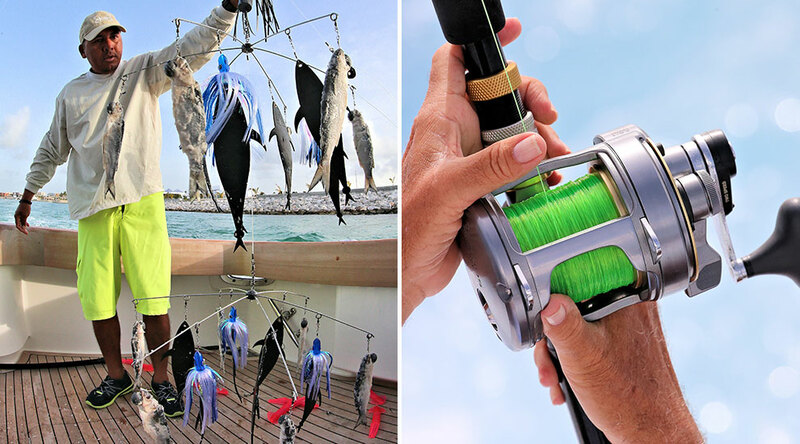 The mix of baits varied, but the trick to success is hooking any and all fish that tease up behind the mini bait ball that the dredge creates. Photo by Richard Gibson. 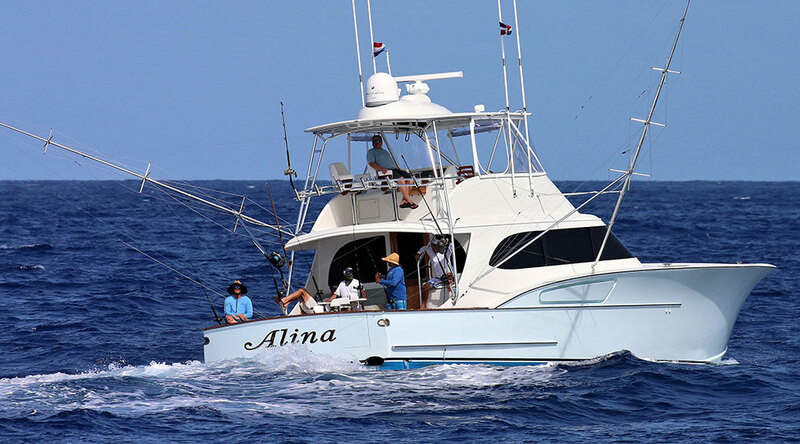 The team on Alina led by owner/operator Eric Mansur of Aruba, had a strong showing on Day One and Day Two of the tournament, moving them to the top of the leader board. Alina didn't catch any on the last day, but managed to hang onto their lead in the Barcelo Rum Division with 3,130 points. Photo by Richard Gibson. 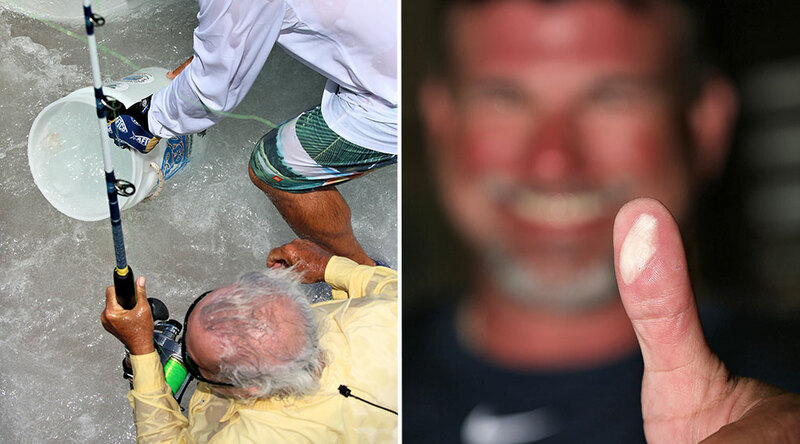 Teams took advantage of a steady white marlin bite and put up some impressive numbers in the tournament. 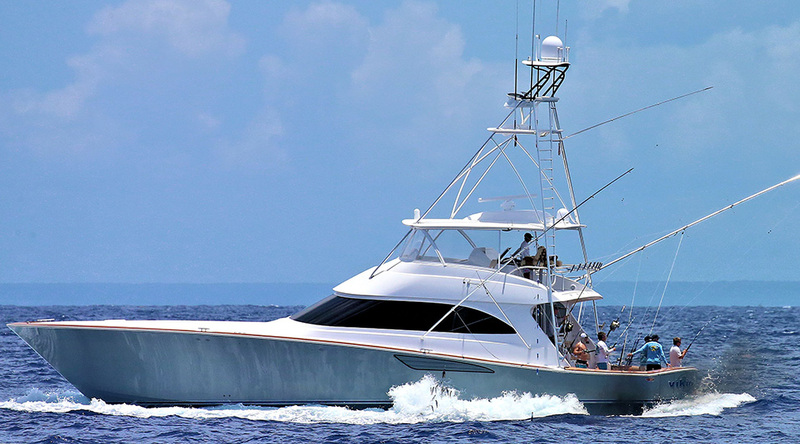 The 20-boat fleet caught 101 white marlin, 22 blue marlin and two sailfish. Photo by Richard Gibson. Weed, weed, weed... 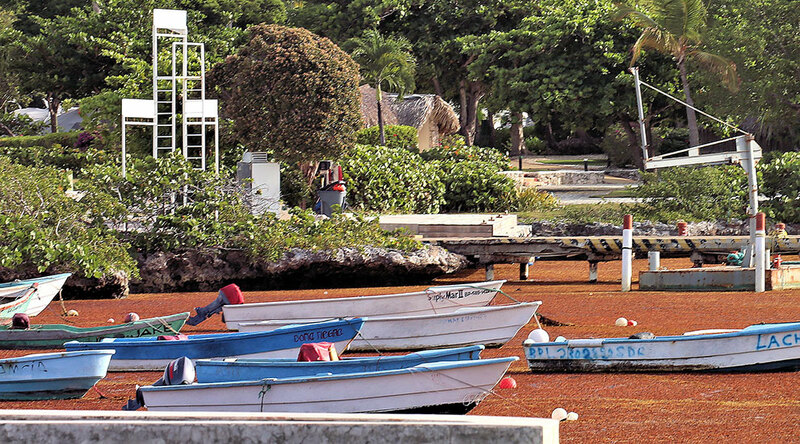 The influx of sargassum weed that is plaguing the Caribbean this year was felt by the teams fishing the Cap Cana Shootout. Keeping baits clean was an ongoing battle. Most blamed warmer waters as the main culprit for the weed invasion. Photo by Richard Gibson. Whenever you head out into the Mona Passage, you can expect a few bumps. Most of the mornings saw a 4- to 6-foot swell that laid down over the course of the day. 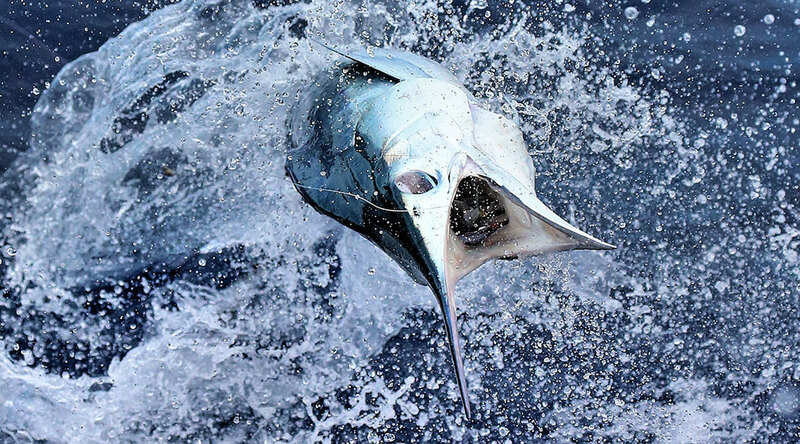 Good thing the white marlin like it a bit rough! Photo by Richard Gibson. 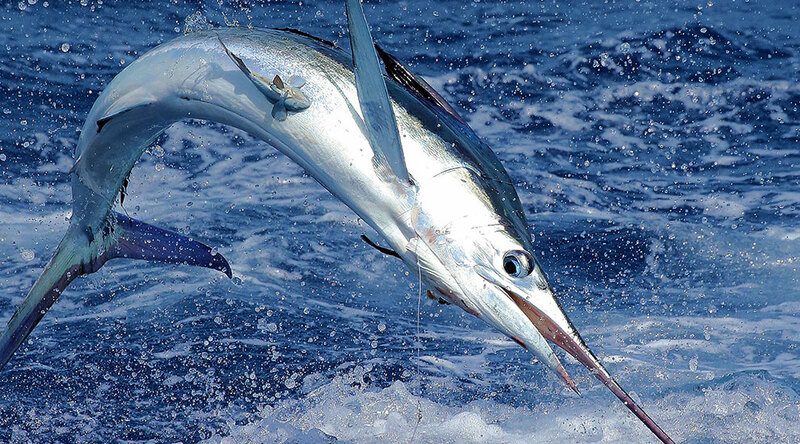 Just because white marlin are small doesn't mean they are easy to catch. Getting a solid hook-set takes practice, and these fish are experts at throwing hooks. 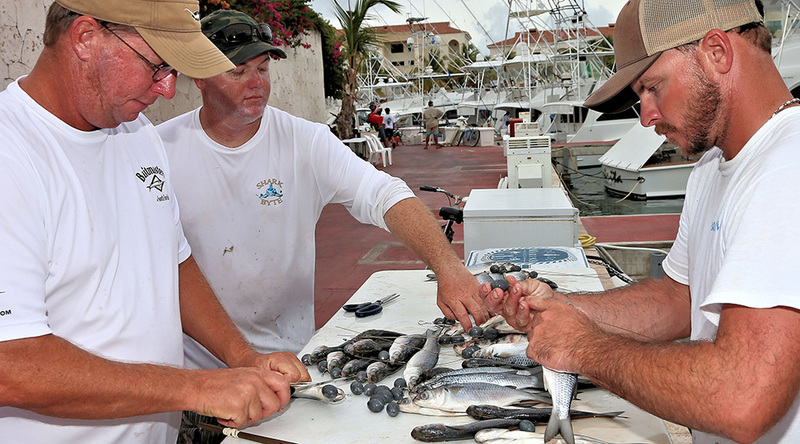 The team on Alina took top honors because they converted every fish they saw into a hook up. Photo by Richard Gibson. Tournament shenanigans. It might take more than a bucket to clear the cockpit on the left, while that blister on the right means you got smoked! Photo by Richard Gibson. 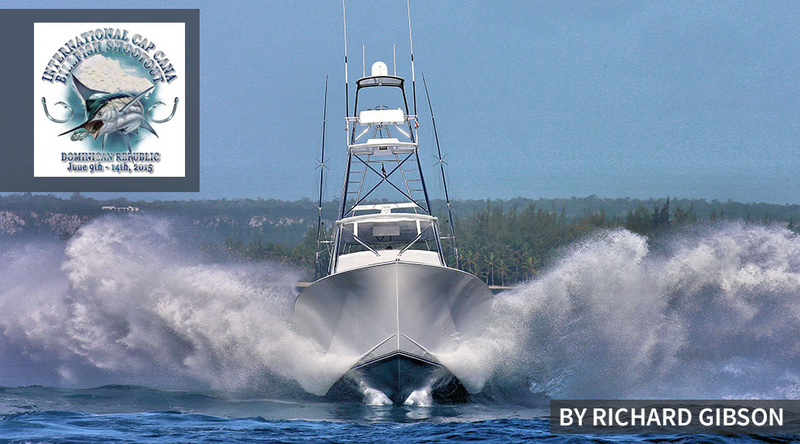 The boys from the 72-foot Bayliss Shark Byte are no strangers to Cap Cana. They won the event in 2012. They know that it pays to prepare. With 2,210 points, they finished in third place in the Dewar's 12 Division. Photo by Richard Gibson. 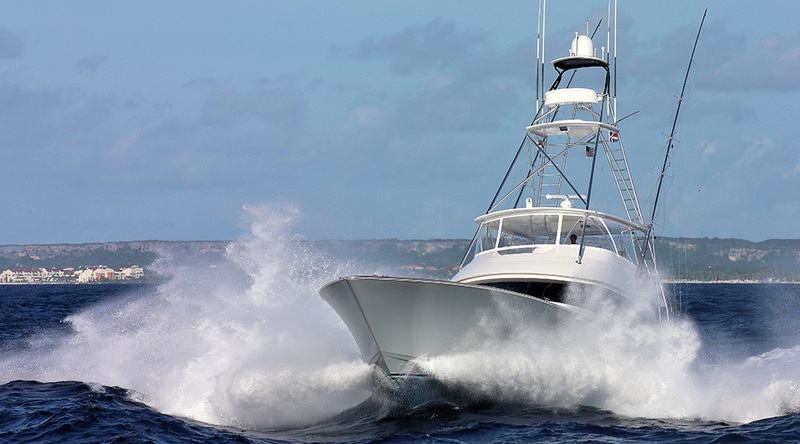 You can always count on Pat Healey and his crew on the Viking 62 to be in the running for the top of the leaderboard. They put up a good showing, scoring 2,080 points and a fourth-place finish. Photo by Richard Gibson. Open up and say ah! 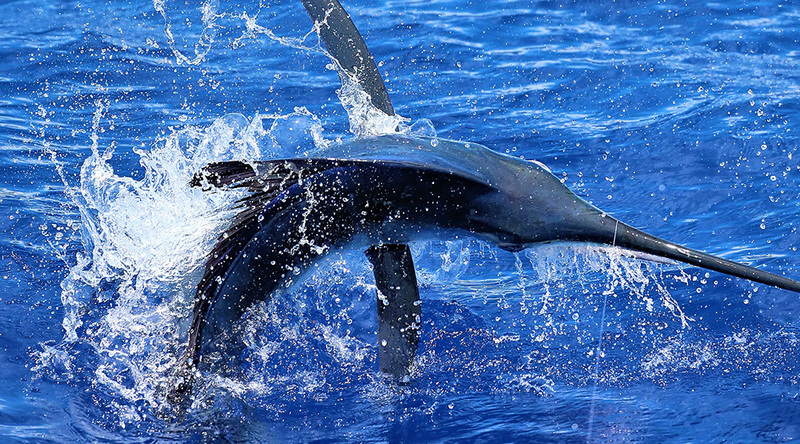 Teams scored extra points for using circle hooks and tagging all of their billfish. Photo by Richard Gibson. When the dust settled, Capt. Tim Richardson and a crew of novice anglers from Detroit took top honors in the Dewar's 12 division. Fishing aboard Tradition, the boys didn't miss a fish on the final day and it paid off handsomely. Photo by Richard Gibson. 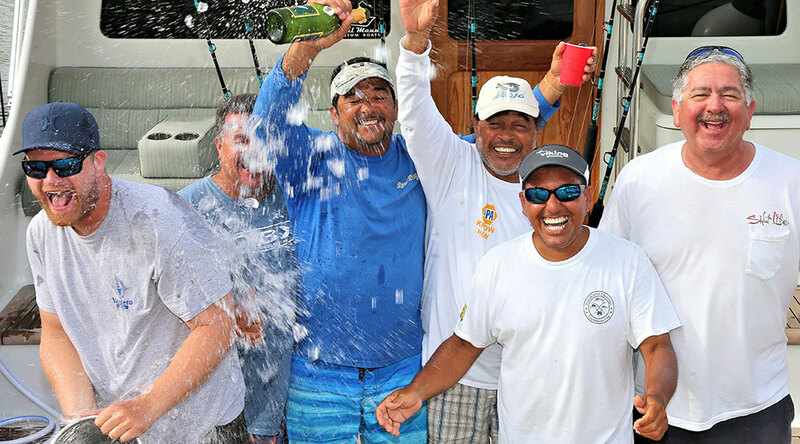 The champagne flowed freely when the Alina got back to Cap Cana Marina. Photo by Richard Gibson.